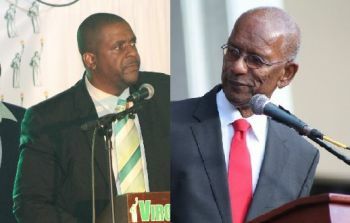 Dr Smith promptly fired back at Leader of the Opposition Honourable Andrew A. Fahie (R1), who had said in a statement following the vote on the Bill that he had said ‘yes’ to it because his primary concern was addressed and also noted that Premier Smith had “caved” in producing essential documents long requested by Members of the House of Assembly, including some of the Backbenchers, for them to make an informed decision when it came to voting on the Bill. The controversial Bill brought to the House of Assembly by Premier Smith was voted on and passed with amendments. In his statement today, March 28, 2018 Premier Smith accused Hon Fahie of playing politics and early campaigning. “It is amazing, but not surprising that the Leader of the Opposition would claim victory for his participation in the discussion, after all an election year is just around the corner. Hon Fahie had repeated statements alleging that because the current Administration failed to police themselves, the Territory is now being policed. “Poor financial stewardship through many Constitutional violations over the past six consecutive years is mainly responsible for where we are today. I made it clear to the Government of the day that we must restore confidence in these Virgin Islands especially for investors (both local and foreign), the UK and the voters. As a result, I participated in making many amendments to the bill,” Hon Fahie remarked. According to Premier Smith, he had indeed spoken to Hon Fahie as well as to other Members before the conclusion of the debate about supporting a position that was in the best interest of the people of these Islands and he was grateful that many of them took heed. “This is what is expected of a leader when he is doing something in the best interest of the people,” Dr Smith stated. One of the concerns of the legislators who had expressed reluctance in supporting the Bill was that Premier Smith was seemingly being secretive about the plans and what the UK had mandated as well as to what he had already committed to. He had a different explanation today, however. Premier Smith also claimed that before having the debate on the Bill, the Cabinet had continuous engagement with the UK to ensure that the people of the VI were able to get the help needed and at the best terms, including assurance that the borrowing guidelines would be reviewed to accommodate the necessary increased loans for recovery. This was a primary concern that Hon Fahie had expressed in the House of Assembly but stated he was satisfied that it was addressed before the vote. Who is trying to score political points here? Hon Fahie had also said that the “Composition of the Board was amended to include a youth to be selected by the Leader of the Opposition; and the Premier to select a person from one of the sister islands. Dr Smith, with his seemingly renewed energy and alertness, will be holding a press briefing on the Recovery and Development Agency and related matters today, March 28, 2018. We need a PREMIER who do not sleep on the job and now telling us he is awake. Only stupid people sign with out reading what they are signing . Please stop that childishness and start the recovery. What you did last was to first. "Don't play with our premier, he is not a toy to be played with." Premier has woken up from his long slumber. Campaigning start now...popcorn time now again. It is clear that the Premier cannot be trusted. He and Myron disgust me. I do not see why the Premier is answering to a statement made by the Leader of the Opposition. All Fahie was doing was stating why he decided to vote yes for the legislation. There's no problem with that. It is clear that Smith is a poor leader. His side is falling apart because of his poor leadership. The other side has no sides none whatsoever...cant even be a snap election because there is no other side and what puddle their is on the other side just attempting to tear down what is lefy of Government. Premier come on and act mature. The Leader of the Opposition did not attack you in his press release so why are you coming now with this tic for tac nonsense? Get on with the Recovery. 1. Of course the composition changed. The arrangement has shifted, albeit slightly. The Premier is correct that the number of possible board members has not changed but there is now a restriction on who the Premier and LOO can select, so that is a change in the quality of the composition if not the quantity of the composition. 3. Important documentation came from the FCO recently showing UK's relaxation in their attitude toward the recover, which also made members comfortable and which the Premier shared with his members. Had he not done that, this vote would have not passed in this way, if passed at all. So, the Premier knows that he did compromise in order to succeed and that can be admitted by him as a leader or by any leader, as the amendments to the bill were for the betterment of the Virgin Islands so he should be proud to say that he was happy to support the amendments made. Orlando crying fowl but why. He got us in this mess and everyone except him knows that his government is corrupt. One thing that most of us have come to realise is that the Premier is a stranger to the TRUTH. Big men should act in a mature manner. No need for this foolishness. Mitch video confirms he is a confused young man. He should have let the vote speak for itself instead of doubling down on nonsense. Beef Island is packed full of tourists today with the ship in because cane garden bay is in shambles. Do you think when cane garden finally decides to rebuild that this will change? He is in for a very rude awakening if he continues on this track of destruction. I don't know who is advising him but it has become a national embarrassment. I agree we need the money, I agree we need help but I don't like how the process went that's why I vote no. So if others voted like that and the bill got defeated how would cane garden bay, jvd and others be rebuilt? He should have said that in his video as well. Doc just awoke from his slumber after 6 years of fiscal irresponsible behavior by his administration? No audited statements, 7 million gone to BVI Airways, 30 plus million over-expenditure at the Pier park, Million dollar wall just to name a few of the major mishaps. That money could have come in handy today. Anyways let us hope that his Agency would enforce the needed oversight to allow for management of projects going forward but the reality is that we should not have been in this big a mess to begin with.